Tracy Calvert was vacationing in the Bahamas last December when she ate the almond-crusted grouper that changed her life. "It was so good. I ate every bite of it," Calvert recalled. But half an hour later, her stomach began to hurt. She went to lie down after dinner, then woke in the middle of the night feeling sick. Her lips were swollen. She had diarrhea and fought the urge to vomit. "I went to the refrigerator to get a Diet Coke. And the cold can was burning my hand," she told AFP. "I went and told my husband, 'Something is not right.'" Though Calvert, 40, did not know it at the time, she had come down with a dangerous form of food poisoning from fish, known as ciguatera. The illness is caused by a toxin that can be found in some large saltwater fish, including barracuda, grouper and amberjack. And researchers now say ciguatera poisoning may be more common than previously thought, according to a study out Monday in the American Journal of Tropical Medicine and Hygiene. Researchers found that in Florida, cases of ciguatera are under-reported to public health authorities. Until now, there was an estimated 0.2 cases per 100,000 people, according to the state Department of Health. But it may actually be closer to 5.6 cases per 100,000 people statewide, according to Beth Radke, a researcher at the Emerging Pathogens Institute at the University of Florida. Radke analyzed 291 ciguatera reports from 2000 to 2011 and conducted a survey of 5,352 recreational fishermen to see if they had ever experienced any symptoms of ciguatera from eating fish that they had caught in saltwater. 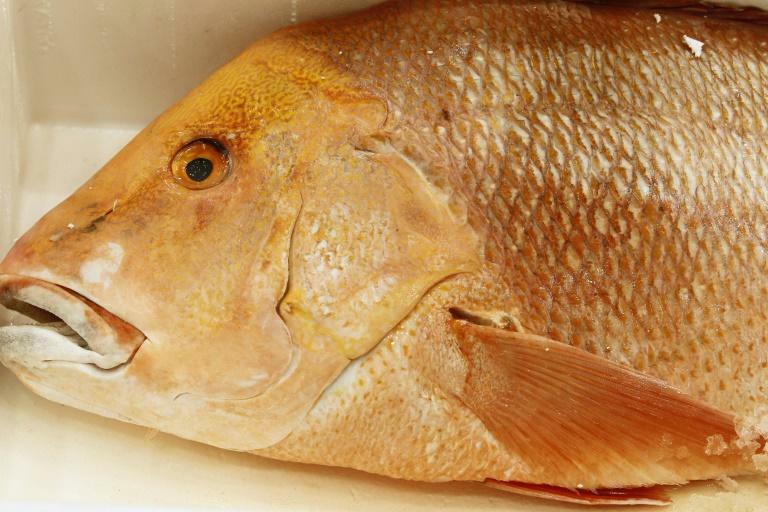 Areas around Miami and the Florida Keys were particularly affected by ciguatera, with rates ranging from 28 to 84 per 100,000 people, the study found. "Hispanics are at higher risk and we believe that may be because of different certain cultural preferences for eating high-risk foods like barracuda," Radke told AFP. "They are a fish we really recommend not eating at all." The reasons behind the under-reporting of ciguatera are unclear. Radke said it may be that people are not accurately diagnosed, or that doctors do not report the illness to health authorities as they should. Previous research has suggested that 10,000-50,000 people are sickened by ciguatera poisoning each year worldwide. Unlike other kinds of food poisoning which may come from raw or undercooked meats, there is no way to tell while eating a fish if it is tainted by ciguatoxins, which are found in algae that grow in coral reefs. Nor is there any lab test to confirm a diagnosis in people, though the fish themselves can be tested. Previous research has shown the risk is highest in the Caribbean Sea and the Pacific and Indian Oceans, where as many as three percent of travelers are sickened by ciguatera. Those who come down with the illness may experience a range of unusual symptoms, including tingling extremities, pain, hot-cold reversal and a feeling of heaviness or paralysis, as well as anxiety. "I had tingling, itching all over my body but mostly I felt slightly paralyzed and this was the scariest thing," said Felicity Harley, 68, a writer who became ill after eating fried barracuda on Bequia, an island in the Grenadines. "I just knew something was very wrong." Like many, she had no idea what, until she Googled her symptoms and came up with ciguatera. For Harley, recovery took six months, during which she ate a purely vegetarian diet and took a prescription drug to treat neuropathic pain. Calvert, who works as a spinning instructor, also suffered from muscle pain, the kind that made climbing a flight of stairs as exhausting as if she had just worked out for hours. She too restricted her diet and began to feel better after about three months. "One of the most important things to understand about ciguatera fish poisoning is that symptoms will resolve," said Melissa Friedman, a clinical neuropsychologist at Mount Sinai Medical Center in Miami. "In the greatest majority of cases, within weeks to months." While Radke's study did not show that ciguatera poisonings are on the rise, the findings do provide a baseline rate of infection that scientists can use in the future, as they study the impact of warming waters and climate change on the spread of ciguatera.